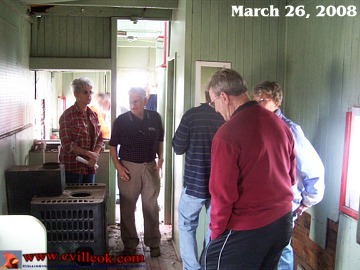 After a delay to find a key that would unlock the vintage Rock Island caboose, a group of citizens along with City of Collinsville and Collinsville Historical Society representatives had a rare chance to inspect the interior of the caboose which was brought here in 1977. 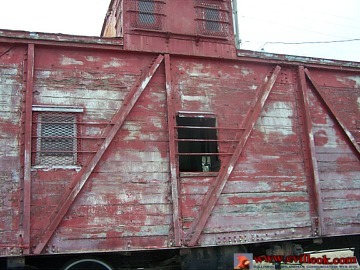 The caboose sits adjacent to the original Collinsville Sante Fe Depot which was relocated to the fairgrounds in 1975. 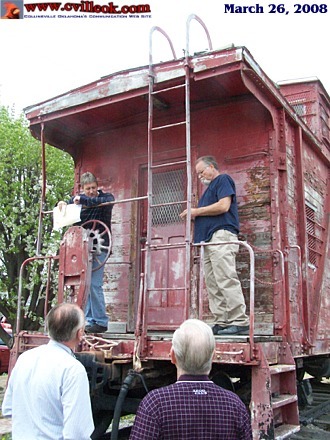 That group discussed options and plans to paint both the depot building and caboose after necessary repairs could be made. 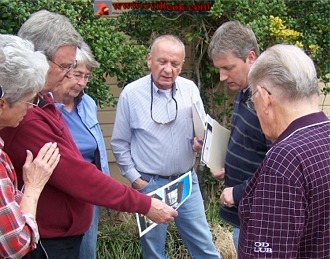 Jay Hastings (from Bartlesville, 2nd from right) showed the group photos of the Hulah Depot he had helped repaint with official Sante Fe colors in Bartlesville. Jay has offerred to help with Collinsville's depot and caboose also. 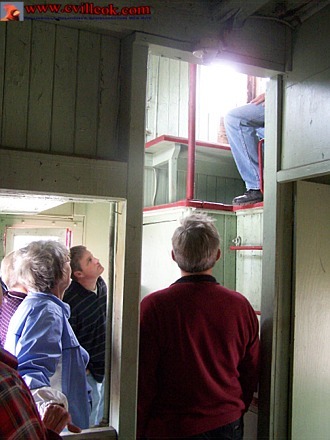 Collinsville City Planner Bob Wolfram tried out the raised seating for the 4 top windows in the caboose. 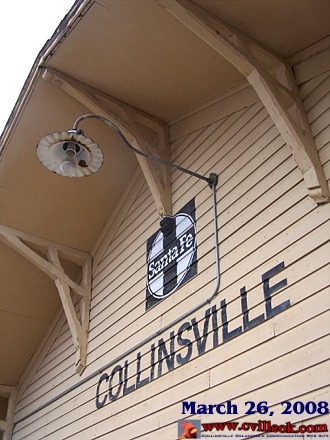 I assume the Collinsville depot was completed not long after the tracks were completed through Collinsville in the summer of 1899. 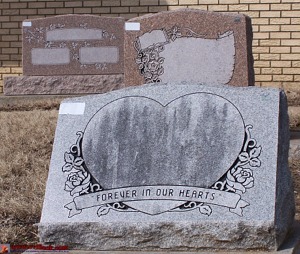 I don't know the original color but know from the 1917 news item above that it was red for at least some of it's early years. 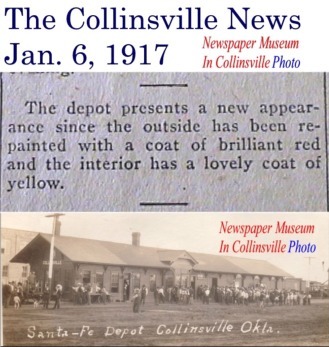 The undated photo (which is not associated with that story) appears to match that red color and shows a period when the depot was doubled in length from the original building which is all that remains today. The 1928 news item below indicates a switch from red & green to yellow & green which is most familiar to local oldtimers still living today. 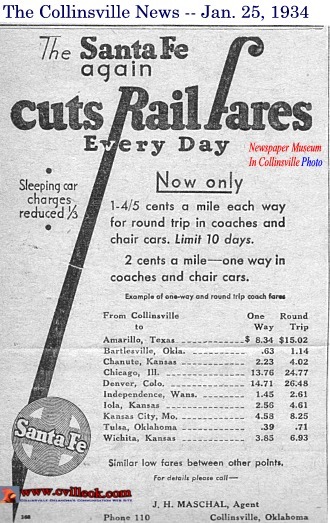 This 1934 advertisement indicates you could ride the train to Tulsa from Collinsville for 39 cents one way or 71 cents round trip. A train ride to Bartlesville was a bit more expensive then, but even the 1934 round trip fares to Chicago and Denver (under $27) would not even buy a tank of automobile gasoline at 2008 prices.